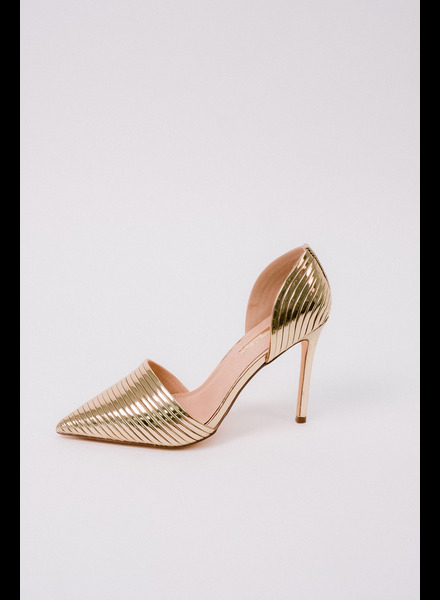 Gold tone pointed toe pump with bare sides. Man-made material. 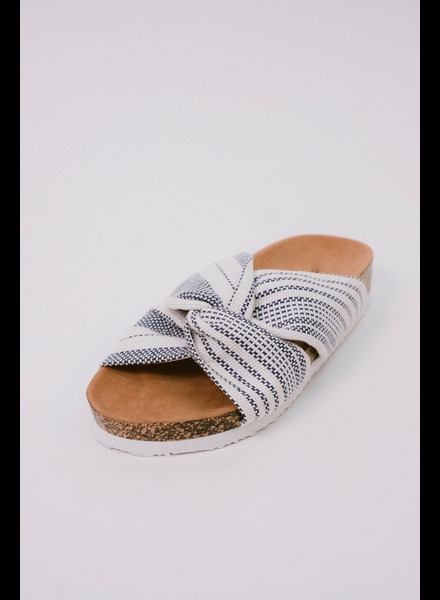 Navy and white striped fabric sandals with knot detail. and thick cork style sole. 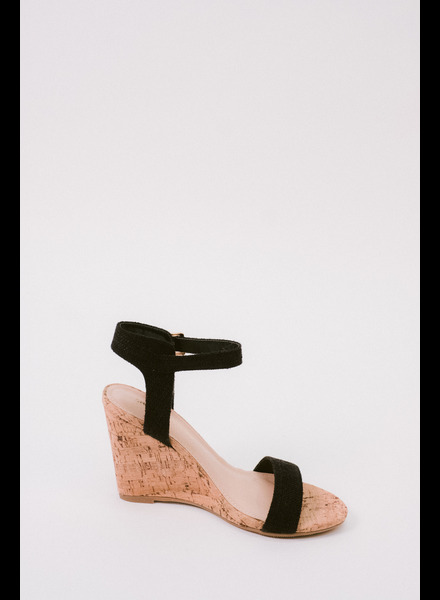 1.5” platform. Man-made material. 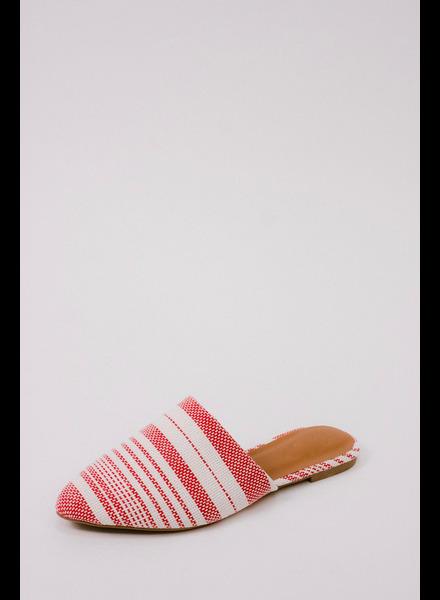 Red and white striped fabric slide on mule with pointed toe and open back. Man-made material. 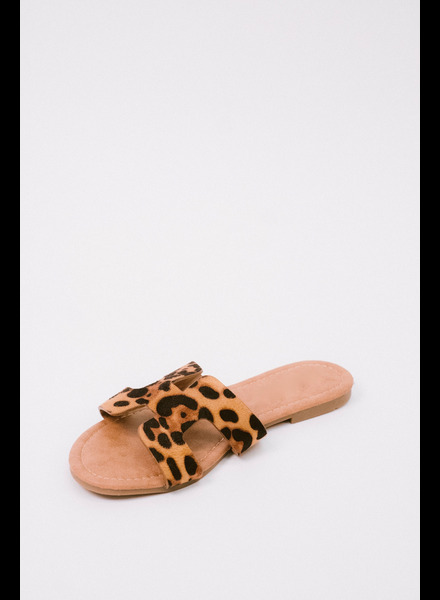 Grecian inspired modern, leopard print slip-on sandals with cut-out details. All man-made materials. 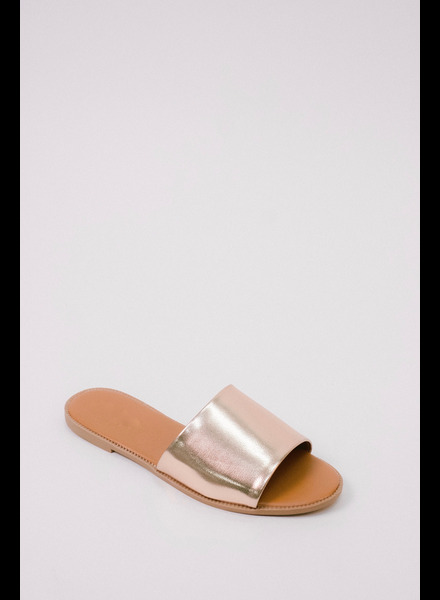 Classic vegan leather slide sandal in metallic rose gold. 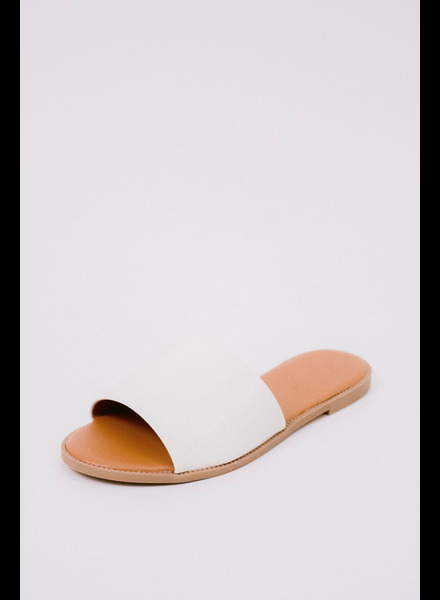 Classic vegan leather slide sandal in white. 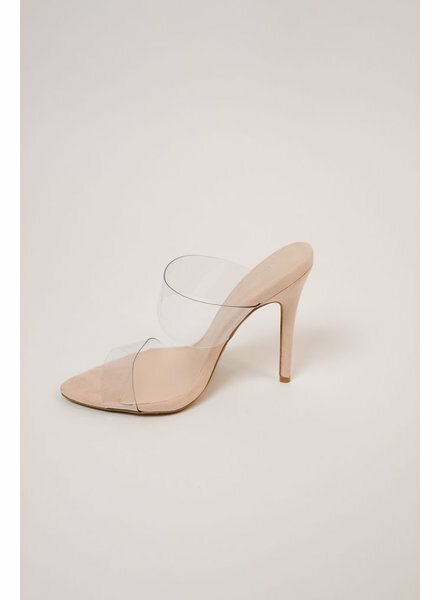 Transparent, pointed toe, backless mule with clear, stacked heel. Man-made material. Cognac brown tone jute wrapped platform slide sandal with 2.5” platform. Man-made material. 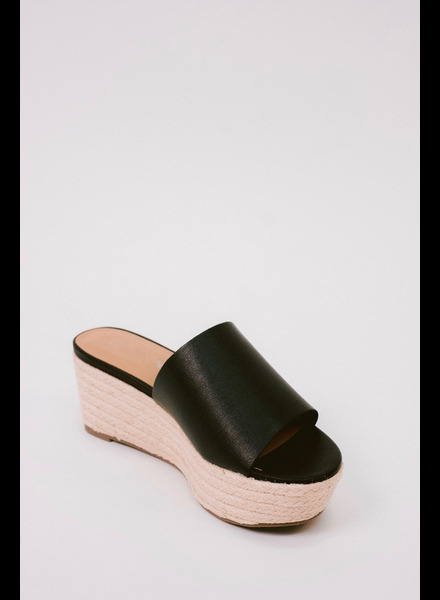 Black jute wrapped platform slide sandal with 2.5” platform. Man-made material. 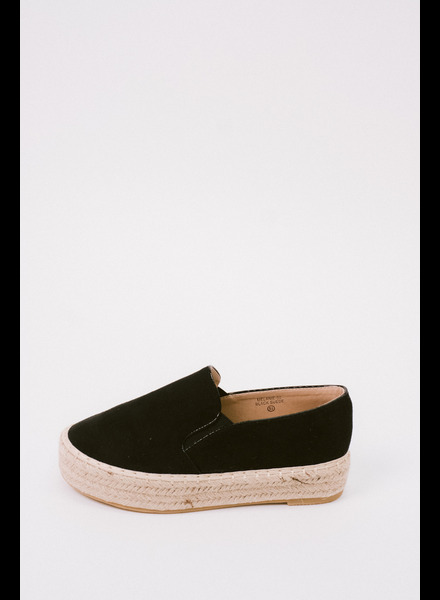 Jute platform round toe flat in black. All man-made material with a 1’5” platform. 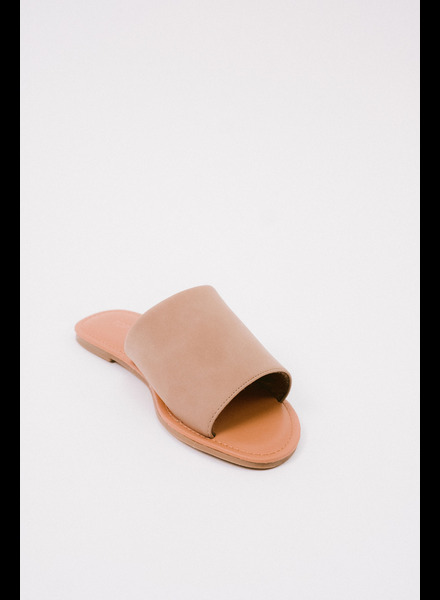 Vegan beige suede classic modern slide sandal. 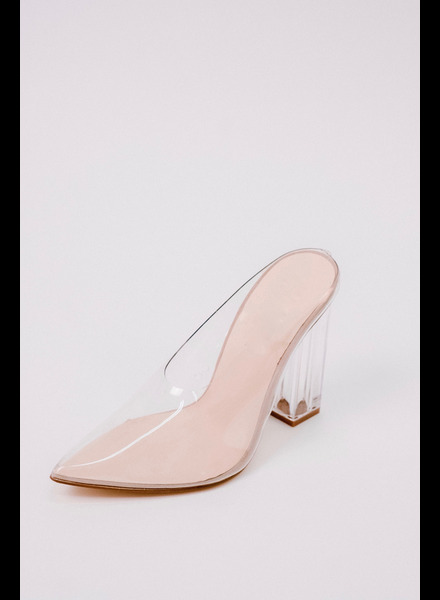 Double lucite strap pump with open toe. 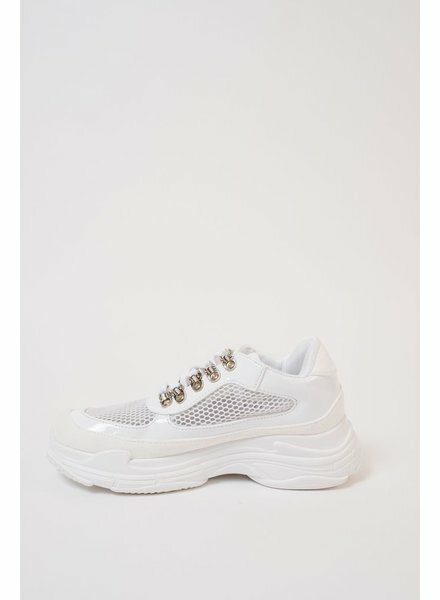 White mesh large soled sneaker with silver lace holders. Whole sizes only. 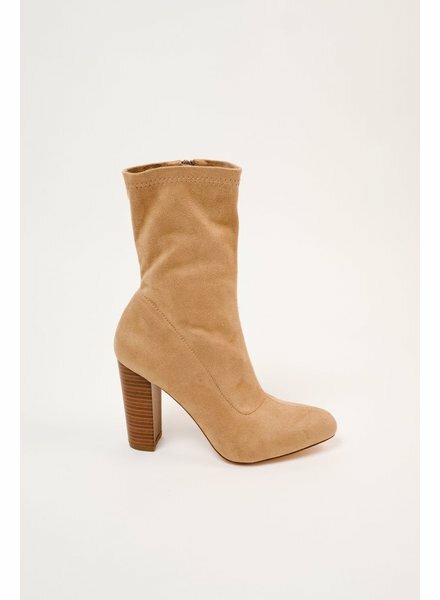 Tan colored vegan suede midi height stretch boot with inside zipper, almond shaped toe, and 3.5 inch stacked wood heel. Man made material.